Now this is a twitter party you don’t want to miss!!! The #PlaytexKnowsBabies team will be discussing busy moms-on-the-go and ways to help mom and baby save time. Be sure to follow @PlaytexInfant on Twitter and RSVP below. Prizes are open to Canadian residents only, but all are welcome to join in the conversation. Be sure to Tweet and Follow our #PlaytexKnowsBabies Team! Check out the full rules. I can’t believe I am saying this, but fall is just around the corner (it is my favourite season) and it is the best time to get out and walk (even better if you have a little one to stroll around) so why not walk in support of a great cause. Rock N’ Stroll (a 3K at Earl Bales) is on September 28th and a unique fundraising event in support of high risk births at Mount Sinai. There will be live entertainment including children’s performers Sonshine & Broccoli, activities and fun for the whole family including the LUG Family Marketplace, where you can find unique products and services. Grab your kids, friends and/or family members and walk in support of a great cause. The Imagination Movers are Coming to a Canadian City Near You! Ahhh the memories of watching the Imagination Movers at 6:00am daily (obviously we had many episodes PVR’d) for months on end because that was the only show on TV that actually made my little guy lie in bed with my husband and I until it was a reasonable hour (that is in my books) to get up out of bed. So really I owe the Imagination Movers and Disney Junior a HUGE thank you. Fast forward three years and I am one of the lucky bloggers that was invited to see a pre-concert of Disney Junior’s Imagination Movers with my big guy and obviously my response was YES!!!!! Not only did my son have the BEST time, so did I!! Might I add they are the absolute nicest guys. First of all, when we saw them practicing, I would be lying if I didn’t say I was completely star struck … come on … for so many months I woke up to them, wouldn’t you be? Secondly, when I was introducing my big guy to them it all came back to me and knew their names (Rich goes rat-a-tat-tat, Smitty plays guitar, Scott who’s goggles that help see far, Dave is underneath the red hat) and best yet I was singing along to their theme song because obviously I knew it off by heart, I just didn’t realize I would remember it years later (I have to say I was quite impressed with my memory). There is great news for all the Imagination Movers fans out there (even if you are not a fan, if you take your child they will walk out a fan .. and so will you), they (along with Warehouse Mouse) are touring Canada (16 cities) starting September 13th going through British Columbia, Alberta, Saskatchewan, Halifax, Ontario and Manitoba. Tickets are now on sale!!! I have to say they put on a great show that your kids will love. TV Show information: weekdays at 3 p.m. ET and weekends at 2:30 p.m. ET. Select episodes of Imagination Movers are also available on Disney Junior OnDemand. Spring is here, so time to get rid of all the 0ld winter clothes in your wardrobe and shop to your hearts content at Holt Renfrew while supporting women’s and infant’s health at Mount Sinai. 10% of all the purchases made that evening will be donated to Mount Sinai. Toronto’s Baby Time Show – Enter to Win Tickets! 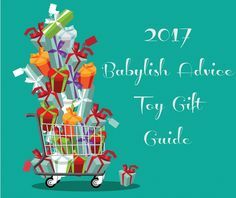 It’s that time of year again, The Babytime Show is coming to town which is one of my favourite shows because there are tons of samples, great vendors and I love more than anything finding brand new products that are on the market. Best yet, you can check out the Honda Odyssey which is a great family car and will be on display as they are a sponsor. Looking for something to do with the kids next weekend? Come to Cedarvale MarketPlace Day where parents can shop and kids can run around and have fun. Get great items for Mothers day, camp or simply just shop for yourself.